The power of Cogito semantic technology is easily deployed to enhance the performance of Google Search Appliance. Metadata generated by Cogito is incorporated within the GSA index, transforming results from a single ranked list to a comprehensive faceted representation of the categories and entities related to your search. The productivity gain is substantial. The larger your indices, the greater your lift in productivity. Consider the possible savings of reducing time searching for enterprise content by just 30 minutes each week. Based on 1,000 associates working a US average of 1,700 hours per year over 50 weeks, you will have contributed the productive equivalent of nearly 15 additional employees. To quantify that, let’s assume that the average loaded cost of an employee is $60,000 per annum. In dollar terms, you will have contributed the equivalent of more than $882,000 in the first year. If $35,000 is the average cost, then the contribution is more than $514,000. If $80,000, your contributed value is $1,176,000. 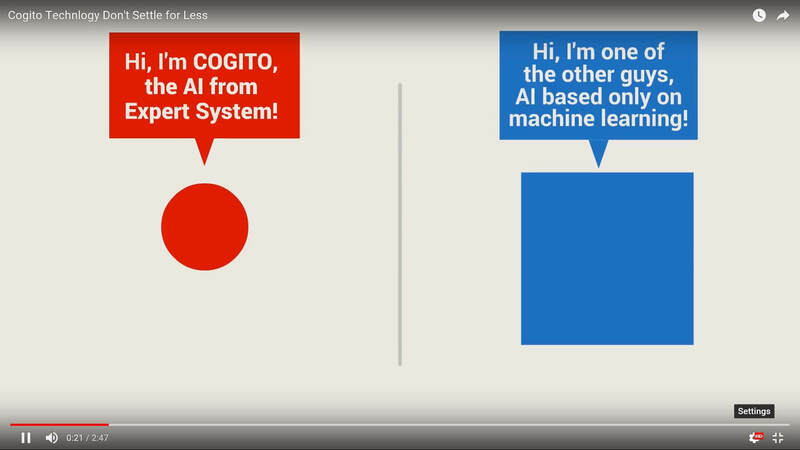 The complete integration of Cogito for Google Search Appliance is yet another powerful example of why we say search is an activity, and find is a result.